Who doesn’t know Umar Saif? He is simply an honour for the whole country. His contributions in IT industry are creating ease for many Pakistanis. His intelligence and contribution to the country has made every Pakistani proud on both national and international platforms. 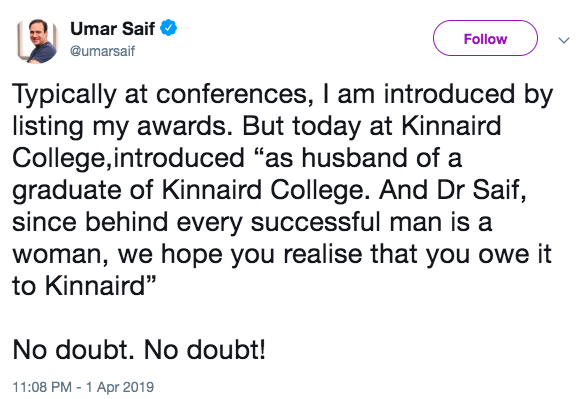 Firstly it was an honour for Kinnaird to have him on campus. But the way Kinnaird introduced him is simply amazing. I might not come up to the actual definition of being a feminist, but I feel Kinnaird gives me the feeing of a very logical and reasonable feminist who is always ready to give the male members their complete rights with love and honour. I am sure that wife of Dr Umar Saif would be a perfect combination of love and support that must have helped him to touch the horizons of success. 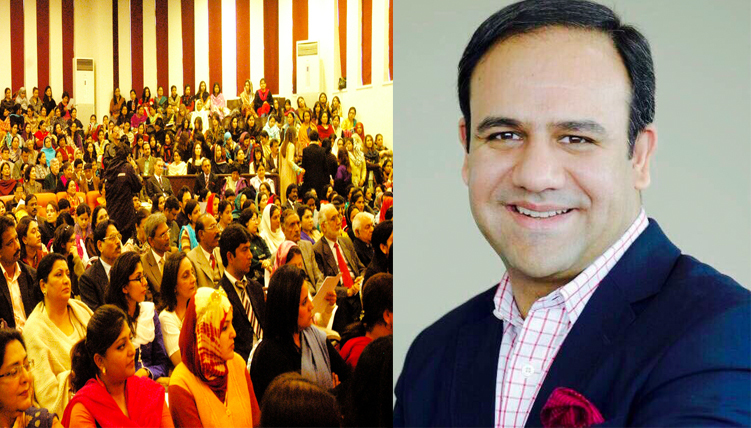 Many others appreciated the way Umar Saif acknowledged the woman called wife in his life and the power of her support.